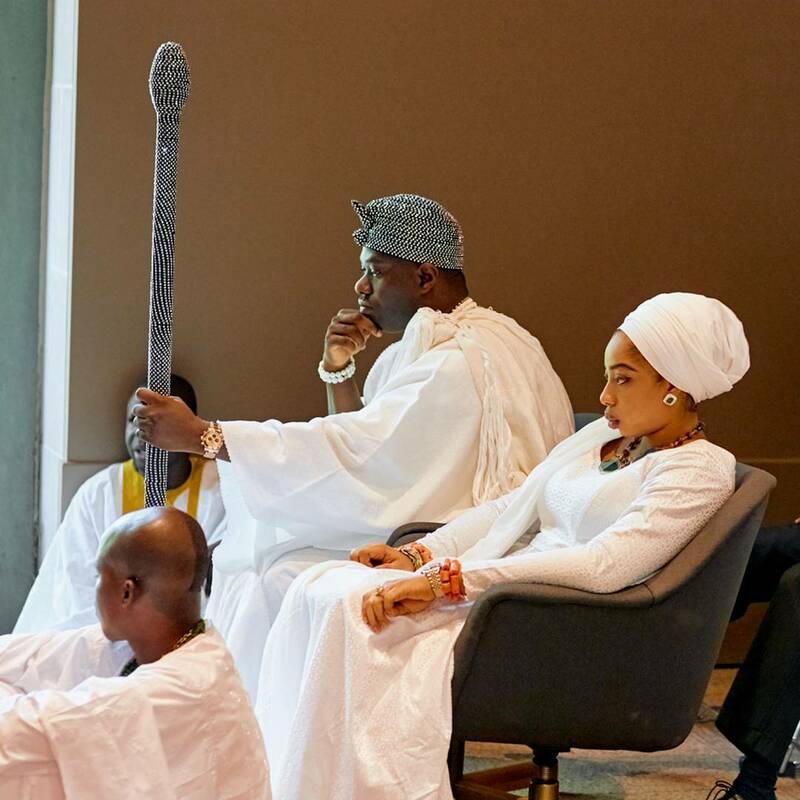 When the rumours of their breakup hit the internet many did not believe it as it was very rare for a king to have a breakup in Yoruba land. The palace and the Olori denied it but she has now released a statement confirming that the centre indeed can no longer hold..
Reverting back to her maiden name but still bearing her queen title,the erstwhile Olori's Instagram account now reads..Queen Zaynab- Otiti Obanor @hhzaynab. Here's what her statement reads..
OFFICIAL STATEMENT We have got to stop this culture of shaming and vilifying women with false stories of infidelity & nefarious behavior. The spreading of false information (through "sources" afraid to be identified) is the mark of cowards and a cover up for guilty parties to justify their horrific actions. There is absolutely no truth to the media circulated lies of infidelity and infertility- on my end. What I can confirm, is that the Ooni and I are no more. I inhale love & exhale gratitude. My journey continues as a Humanitarian aiding women and victims of domestic violence & abuse with the United Nations. No matter how much time you've invested, no matter the use of media to silence & manipulate, no matter the circumstance, slander, embarrassment, threats and lies: Get out and seek immediate help! We've seen this movie before. Women being dragged in the press & blamed for everything under the sun. This behavior is unacceptable. I urge those involved to be mindful of their actions for the eyes of our Almighty God are always watching. The seeds of slander is a cancer that harvests to eat away the souls of the planter. The throne is sacred and the attempts to tarnish the name of a Queen, in defense or on behalf of a silent King makes all involved look terrible. Remain dignified in all you do. It's not the end of the world, but the start of a new chapter and you must turn the page with grace. The world is watching. As I bid adieu to this chapter, my wish to you all is to step into your lives - boldly & fearlessly, the way God intended and live not just by words, but through example. The best chapter in our lives is the one we are writing now. Thank you for your love and support. With peace, love & light, -Her Highness, Zaynab Otiti Obanor.